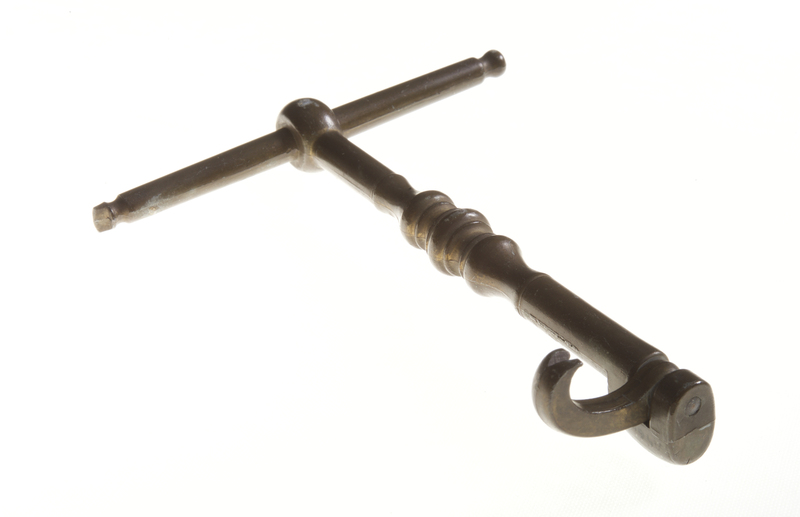 The earliest form of “key”, circa 1740, was made entirely of metal, unlike the wood-handled pelicans. In this 1762 version, a functional fulcrum is absent. 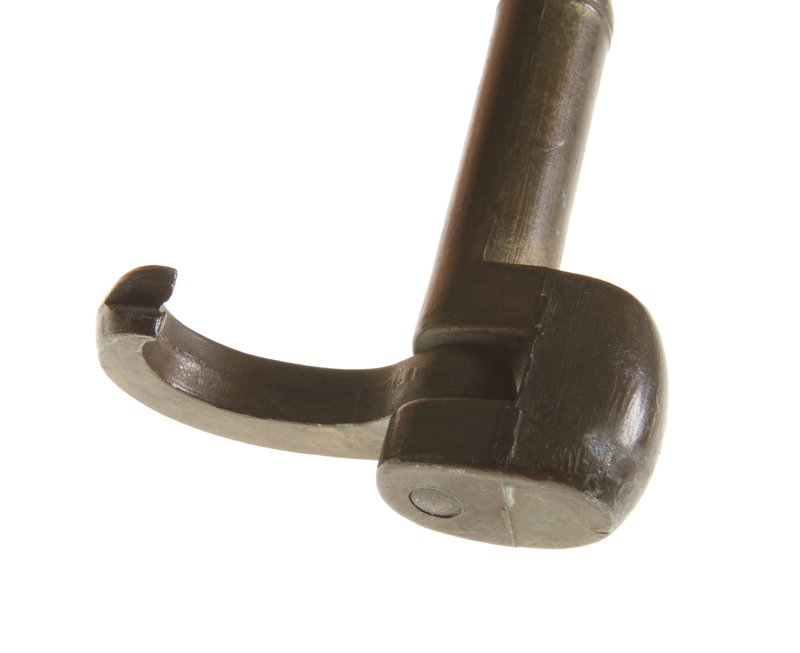 Similar to the 1762 key, this Exolever replica (A466.8) has a handle, compressed at one end and rounded at the other, that can be detached from the shaft and serve as an elevator. The name “Exolever” describes its compound nature. 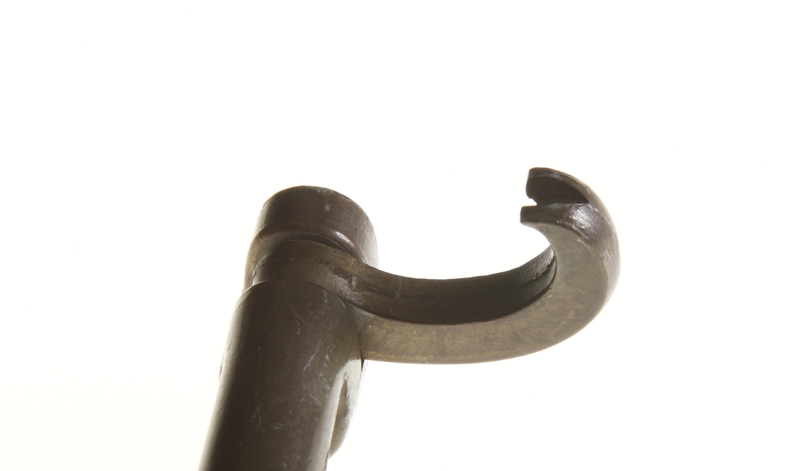 Characteristic of those earliest keys, the claw tip shows a deep V-shaped notch and the inner surface is smooth. Later claw modifications would conform more closely to tooth root shape and include a series of transverse grooves for a firmer grip on the tooth. A projecting "bolster" was added to the shaft opposite the claw to provide a fulcrum for greater stability and strength during extraction.